The comics-exclusive prequel to the new game from Naughty Dog! 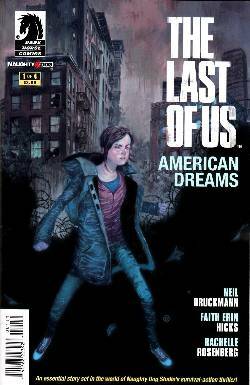 Creative director Neil Druckmann teams with breakout comics star Faith Erin Hicks to present the story of thirteen-year-old Ellie's life in a violent, postpandemic world. A newcomer at a military boarding school, Ellie is reluctant to toe the line, which earns her new enemies-and her first glimpse of the world outside.